Ink usage and cost calculator for printing. Is there a better alternative to Coverage? 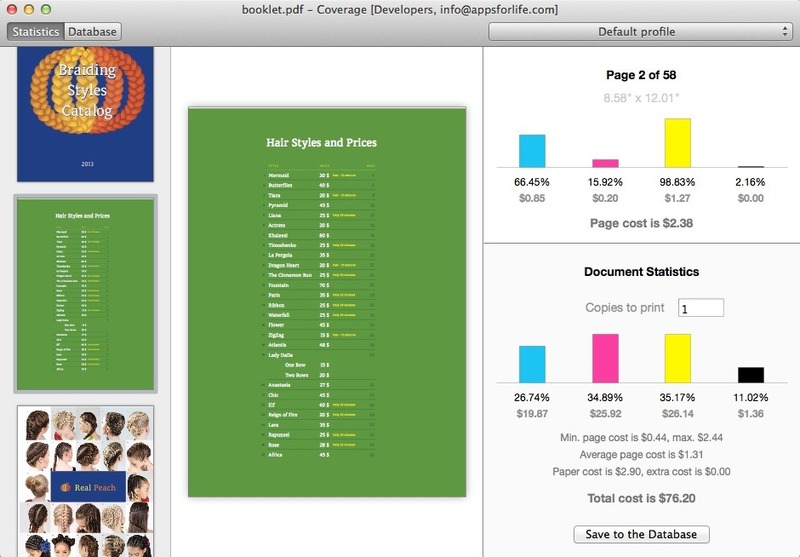 Is Coverage really the best app in Desktop Publishing category? Will Coverage work good on macOS 10.13.4? 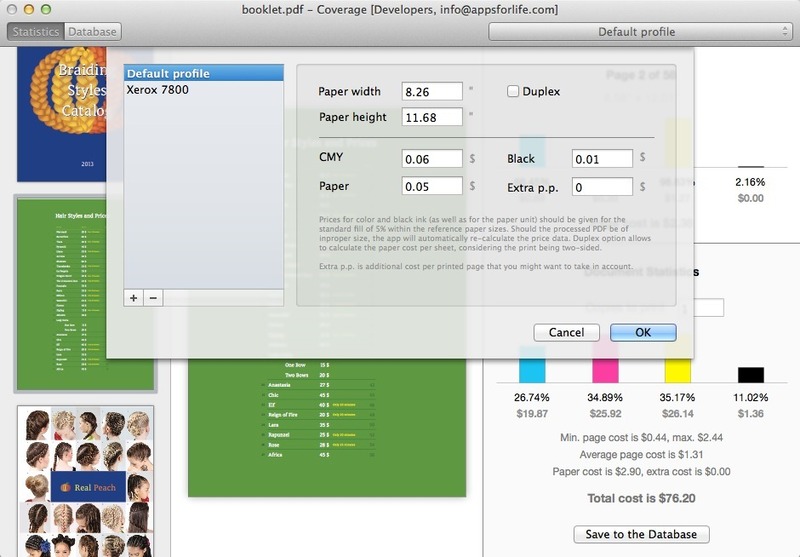 Coverage is an advanced printing costs calculator which shows a detailed document statistics and estimates the printing costs taking into account ink, paper and other expenses. 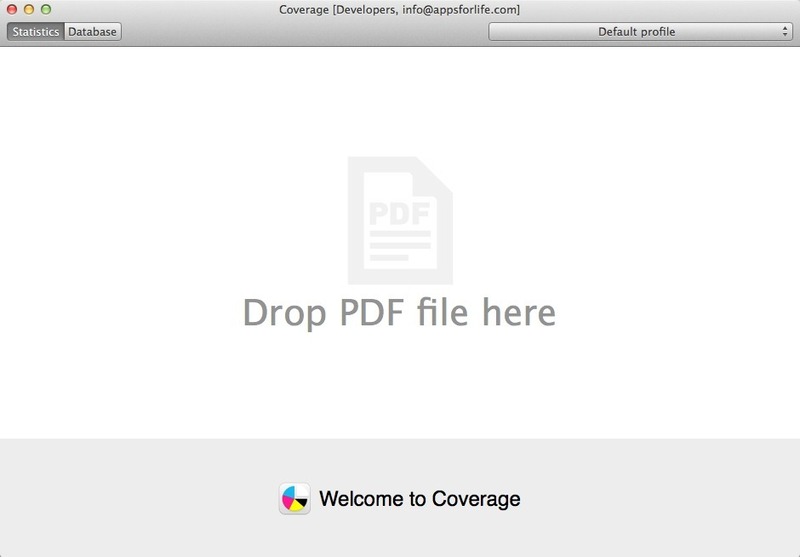 Coverage saves you money by showing how much it costs to print absolutely every page of the document. This update fixes some minor issues with specific documents and improves OS X support. We also fixed some typos, improved speed, made update checking optional and fixed some minor bugs. Coverage needs a review. Be the first to review this app and get the discussion started! Coverage needs a rating. Be the first to rate this app and get the discussion started!